Learn about PEACE Card Game: IKC EXCLUSIVE! Learn about peace in a fun and unique way. A great classroom activity. PEACE Word Puzzle 1: IKC EXCLUSIVE! Decipher this puzzle. Find the words, make the sentence. Make your own Peace symbol: IKC EXCLUSIVE! Make your own IKC Logo: IKC EXCLUSIVE! 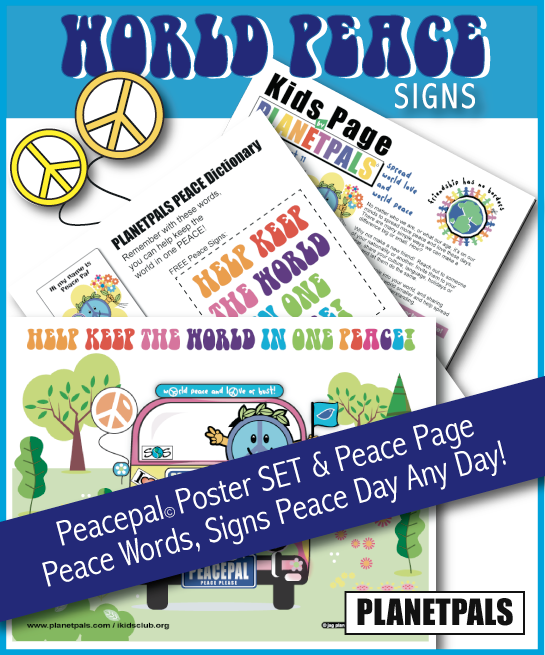 FREE Peace symbol clip art . IKC EXCLUSIVE! Print this out. Make a peace collage. FREE Animated Peace Symbol Clip Art Learn abut the symbols worldwide. Use them on your own home page! FREE Heart clip art . IKC EXCLUSIVE! Print this out, send out some love! Make a love collage! Send this PEACE Poem and Ribbon to a Friend IKC EXCLUSIVE! Fun and meaningful! Free world peace poem and ribbon to pass along!